I have been trying to find out why the ttyAMA0 port is not working with rocrail. So far, I have not found the answer… but it is clear that the port generates with no problem the Motorola packets, but not the dcc ones. I have been capturing the output with the oscilloscope and decoding them, with only dcc active… and including one loco and no loco. I have also tried to measure directly from the GPIO pins… and the results are the same – discarding any problem with the board I prepare to adapt the voltage levels. So next step… see if the problem is in the way rocrail manages the serial port… or if it is just a problem with the AMA0 port – for that I would need some help form the rocrial community. PS:I have made test to send a file of 2MB at the baudrate used to generate dcc packets… and it arrived with no problems to my PC. The serial port in the rpi ttyAMA0 does not seem to be able to generate the dcc signals. The tests I made where with a Motorola loco. I will post if I found out more…at this point it is clear considering the fifures above that the ttyAMA0 is no generating the entire signal. It seems the ttyAMA0 is not capable of changing the baudrate. Finally I have been able to prepare an adapter for the uart port at the rpi and check that rocrail works perfectly (so far). Hereafter a small video demonstrating the achievement. 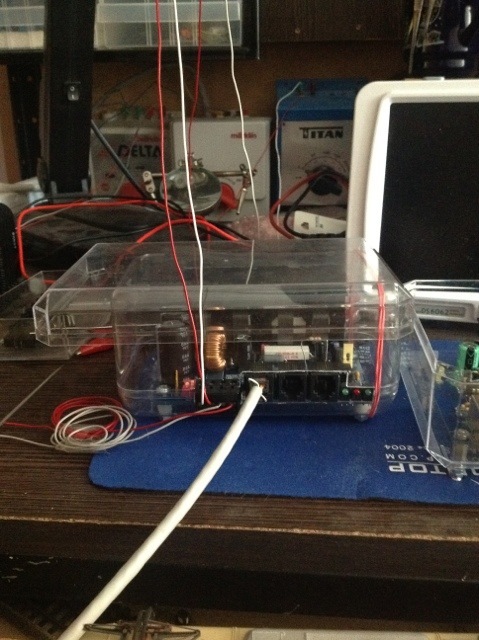 Rocrail is using the ddx library to send the commands through the serial port of the rpi. The booster board (ord-3) is powering the test track. 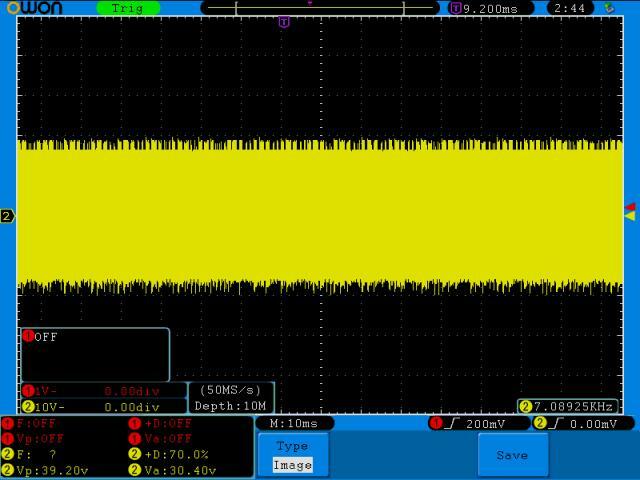 Peter Gilling, designer of the board, advised on reducing the value of the resistor R1 – I am currently using 390 ohms- , this is also convinent for usb-rs232 converters. He was also concerned about the rpi being able to generate the signal… This is something that needs further tests… so far, with just one loco and without launching rocview, it seems to work OK. The raspberry has been adapted with a connector to generate the right voltage levels. It is based on this design I found on internet. I am attaching hereafter the schematics and the board. I have left some jumpers to select the signal being generated in the UART pins or other GPIO pins. 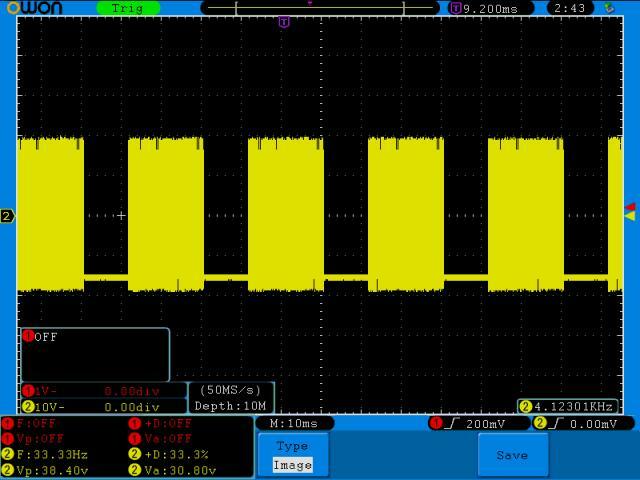 In this way, if I want to play to generate the signal directly, and not though ddx, I could have a test board… this could also help to experiment and activate certain functionalities not available with usb converters -i.e. shortcut detection or programming track. In the same way, power can be selected (5v or 3v). Note that the connections of this board would require a null-modem cable. 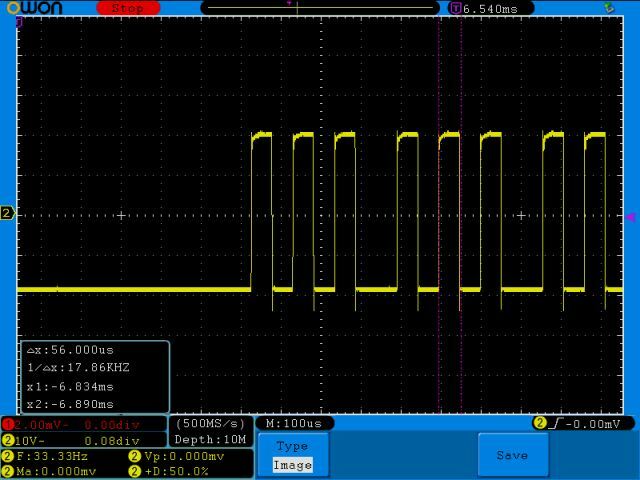 The ORD-3 is expecting the signal in pin 3 (where the RS232 port of a PC would provide it), and the adaptor is generating the signal in pin 2. In fact, the adaptor is prepared to connect the rpi to a PC.